The White House on Thursday moved to curb the power of federal regulators by directing them to submit nonbinding guidance documents to the budget office for review, a step that could slow down the enactment of any rule with a potentially large impact on the economy. A memo from acting Office of Management and Budget Director Russell Vought would vastly broaden Congress’s ability to reject such guidance, subjecting the documents to the same scrutiny as regulations that carry the force of law. The move is the latest salvo in a war waged by corporations and their Republican allies in government against what they view as backdoor rulemaking: agencies issuing regulatory documents that don’t go through the formal notice-and-comment process but can still be used as a cudgel against certain behavior. The memo will have a potentially sweeping impact on agencies throughout the government including independent regulators like the Federal Reserve and the SEC. It calls on the agencies to regularly notify the Office of Information and Regulatory Affairs of upcoming guidance, along with determinations of whether it qualifies as “major” — the threshold for notifying Congress under the Congressional Review Act. Any guidance document deemed major by OIRA would need to be sent to Congress, which would then have the ability to strike it down under the review act, a law that gives lawmakers a short window to roll back a rule. While the section does not directly address environmental, social and governance (ESG) disclosure, it restates the definition of materiality from the U.S. Supreme Court case, TSC Industries, Inc. v. Northway, Inc., and reiterates a company’s fiduciary duties to its shareholders to strive to maximize shareholder return, consistent with the long-term growth of the company. This order comes on the heels of last week’s U.S. Senate Committee on Banking, Housing, and Urban Affairs hearing on ESG Principles in Investing and the Role of Asset Managers, Proxy Advisors and Other Intermediaries, as well as ongoing activity at the U.S. Securities and Exchange Commission level, with certain institutional investors agitating for additional ESG disclosure requirements. SEC Staff Guidance: A “Secret Garden” of Private Law? Some requests for clarification or guidance are inappropriate for handling through a time-consuming process that results in a published response. Indeed, as a Commissioner, I hope that the staff is engaging productively and responsively with market participants. I would not want to see this engagement become so burdensome to either staff or market participants that it discourages people from seeking informal guidance or the staff from providing it. However, when staff provides non-public guidance, Professor Davis’s concerns become much more pronounced, and I believe that there is a line that can be crossed where non-public staff guidance goes from being merely helpful “l-o-r-e” lore to something that is more akin to secret law that, for all practical purposes, binds at least some (though perhaps not all) market participants without any opportunity for review or appeal. We have developed a short form application to facilitate and streamline the process of filing an application to extend the time for which confidential treatment has been granted. It is a one-page document by which the applicant can affirm that the most recently considered application continues to be true, complete and accurate regarding the information for which the applicant continues to seek confidential treatment. With that affirmation, the applicant indicates its request that the Division extend the time period for confidential treatment for an additional three, five or 10 years and provides a brief explanation to support the request. Companies don’t have to refile the unredacted contract with the extension request, and if the supporting analysis remains the same as presented in the most recent CTR, they won’t have to refile that either. If the applicant reduces the redactions, the revised redacted version of the contract must be filed with the short form extension application. The short form application may only be used if the contract has already been the subject of an order granting a CTR, and it can’t be used to add new exhibits to the application or make additional redactions. For a deeper dive into the new process, check out this Cydney Posner blog. We’ve also updated our “Checklist on Confidential Treatment Requests” to reflect this new procedure. Even with teams working around the clock, it was weeks before Mondelez recovered. Once the lost orders were tallied and the computer equipment was replaced, its financial hit was more than $100 million, according to court documents. After the ordeal, executives at the company took some solace in knowing that insurance would he lp cover the costs. Or so they thought. The U.S. government said that Russia was responsible for the cyberattack, which made Mondelez & other companies “collateral damage in a cyberwar” & gave insurers an opening to deny coverage under the war exclusion. Mondelez & Merck, which was also denied coverage, sued their insurers & the issue is working its way through the courts. The stakes are high – given the prevalence of state-sponsorship when it comes to big cyberattacks, the article suggests that the outcome could go a long way to determining whether cyberinsurance is worthless. MarketWatch counted 33 ICO-related fundraisings accepted by the SEC in the first quarter of 2019, with a total stated value of $1.9 billion. That is down from a peak of 99 in the second quarter of 2018. MarketWatch estimated there were 287 ICO-related fundraisings accepted by the SEC with a total stated value of $8.7 billion in 2018. That was a significant increase from 44 fundraisings filed with a total stated value of $2.1 billion in 2017. Does that mission statement seem a bit unrealistic given the nature of our business? Well, I think ours is arguably more tightly tethered to reality than what either of these two high profile tech companies cab dispatchers are peddling. This is heady stuff for companies with core businesses based on an app that does what Danny DeVito did in the ’80s sitcom “Taxi” & whose financials suggest that they spend a lot of time shoveling money into a furnace. Although to be fair, Uber will also deliver your Pad Thai order, and it’s . . .you know. . . sorry about the other stuff. These messianic mission statements & the puffery that accompanies them have become a cliché in tech deals. But it seems to me that they do little to aid investors and a lot to obfuscate what companies actually do. The whole approach reminds me of nothing so much as “The Great & Powerful Oz” exhorting Dorothy to “pay no attention to the man behind the curtain” – only what’s frequently behind the curtain in tech deals is an endless string of huge losses, and a path to future profitability that is far from certain. By the way, there’s plenty of disclosure about what’s behind the curtain in these prospectuses, if you take a moment to look for it. For instance, Uber accompanies its announcement of the new millennium with a 46-page “Risk Factors” section, while Lyft’s “Risk Factors” section is 41 pages long. So investors who get carried away with the hype have only themselves to blame. Read the prospectus. Regulation G: Coming to a CD&A Near You? Unfortunately, those requirements do not apply to the reports that compensation committees of corporate boards disclose to investors each year. Thus, committees choosing to use adjustments when deciding on payouts need not explain why an adjusted version of earnings is the right way to determine incentive pay for the company’s top managers. This increases the risk that adjustments will be used to justify windfalls to underperforming managers. The SEC’s disclosure rules have not kept pace with changes in compensation practices, so investors cannot easily distinguish between high pay based on good performance and bloated pay justified by accounting gimmicks. That’s why we’re calling on the SEC to require companies to explain why non-GAAP measures are driving compensation decisions—and quantify any differences between adjusted criteria and GAAP. A few public companies already provide investors with this kind of transparency. Others can too. Last week the market inched closer to peak “Unicorn” frenzy when – after what felt like a decade of speculation – Uber filed the Form S-1 for its IPO. Reuters reported that it’s seeking to raise $10 billion, which would be the largest offering since Alibaba went public in 2014. John will give his take on the prospectus tomorrow. For today, we’re looking back on IPO trends leading up to this enormous deal. – Average number of first-round SEC comments was down to 20 – and the study looks at the prevalence of “hot-button” comment topics, comments by sector, etc. With companies staying private much longer these days than they did even five years ago, there’s a lot of pent up demand for “Unicorns” – venture capital-backed companies valued at $1 billion or more before going public (in Uber’s case, 90-100x more). The reason investors are itching to buy stock is because the companies are considered “high growth.” That’s bank-speak for “losing money” – one study even showed that the less profitable unicorns are, the more people like them! And that’s just one way these offerings can differ from those conducted by “regular” companies. The tool also includes a sample form and rating scale for obtaining input from company personnel about the external auditor, as well as resources for additional reading. As we noted in the Proposing Release, we do not believe that precise conformity or comparability of the pay ratio across companies is necessarily achievable given the variety of factors that could cause the ratio to differ. Factors that could cause pay ratio to differ from one company to the next include differences in business type, variations in the way the workforces are organized to accomplish similar tasks, differences in the geographical distribution of employees, reliance on outsourced workers, and the variations in methodology for calculating the median worker. Consequently, we believe the primary benefit of the pay ratio disclosure is to provide shareholders with a company-specific metric that they can use to evaluate the PEO’s compensation within the context of their company. That message stuck: most people seemed to understand that the ratio would be company-specific, and there was a pretty “ho-hum” reaction to the first year of pay ratio disclosure. But, you might say, “What about tracking changes to a particular company’s ratio over time, to monitor how CEO pay increases compare to everyone else’s? Won’t that be useful?” More than a few people predict that pay ratio will garner more attention going forward, because shareholders & others will compare a company’s current year number to prior years. Median pay at Jefferies Financial jumped to $150,000 last year from $44,584 in 2017 after the holding company sold most of its stake in its National Beef meat-processing unit in June 2018, cutting its workforce to about 4,600 from 12,600. The 2017 median employee at the company, formerly called Leucadia National, was an hourly line worker at National Beef, while last year’s was a senior research associate in the company’s Jefferies LLC financial-services operation. Coca-Cola slashed its median pay figure by two-thirds after it finished shifting North American bottling operations to franchisees and acquired a controlling interest in African operations. The 2017 median worker was an hourly full-timer in the U.S. making $47,312, while last year’s made $16,440 as an hourly full-timer in South Africa. In its proxy statement, Coca-Cola said it intends to shed the African operation again after making improvements and offered an alternative median employee excluding that unit: an hourly full-timer in the U.S. making $35,878, about 25% less than his or her 2017 counterpart. I will say, companies are making the most of what they have to work with (thanks in large part to the flexibility the SEC incorporated into the rule). And for better or worse, the “median employee” data point might illustrate to people how company policies & strategies play out in the workforce. But a single data point can’t tell the whole story – and the pay ratio itself remains pretty useless. – While cyber and IT issues have grown to represent nearly 20% of the average audit plan, CAOs still think there’s a shortage in the resources and skills that would allow them to protect the company from significant cyber incidents. Audit committees should ask about obstacles to internal audit’s performance in this area. – At about 60% of companies, internal audit either never reviews board materials, or does so only for unusual situations. Copying the CAO on board materials would allow them to provide negative assurance on its accuracy, completeness, timeliness, transparency, and reliability. According to this WSJ article, the lack of corroboration worries auditors, who feel that audit committees aren’t exercising “professional skepticism,” and aren’t ensuring that necessary controls are in place. – Organizational monitoring of third-party relationships is viewed by nearly half of CAOs as ad hoc or weak. CAOs must elevate concerns about weak controls on third-party risks to the audit committee. These relationships require the same level of risk management as any that affect the organization directly. – 75% of CAOs report to the CFO – which is concerning because they may focus disproportionately on financial risks and overlook areas such as reputational & cyber risk. Internal audit can take on a greater role in oversight of emerging risks by monitoring “key risk indicators” for the company. – Variances in audit committee structure and responsibility create the real possibility that in some organizations internal audit is not involved with committees that handle critical issues, such as cybersecurity and overall risk governance. For example, in many organizations, risk and IT committees, not audit committees, are tasked with overseeing cybersecurity and cyber preparedness. Such conditions could handicap internal audit’s ability to deliver perspectives about those vital risk domains. CAOs should be present and able to share information at these committee meetings. Changes in Accounting Estimates (CAEs) are a normal part of periodic reviews of both current and future benefits and obligations. These estimates are recorded as new information appears. From an accounting perspective, the disclosure is governed by ASC 250, which requires all material changes in estimates to be disclosed. All three working papers found evidence that CAEs can lead to lower quality of financial reporting. Whether it may be from opinion shopping, managerial opportunism or an unintentional misstatement, these CAEs have been positively associated to subsequent restatements. This can lead to poorer financial quality which, in turn, can impede the assessment of earnings quality making it harder to accurately assess a company’s performance. 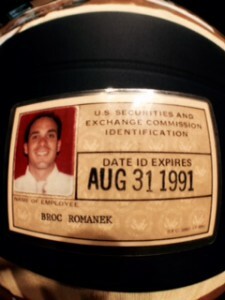 Can’t believe it’s been twenty years since I last left the SEC as a Staffer. At the time, I was working for a SEC Commissioner. So my “going away” party was held in the SEC’s “Closed Commission Room.” That’s the room where the Commissioners meet to discuss & vote upon the agency’s enforcement actions. Very cool. Third-Party Recruiters: Pivotal to Director Diversity Change? We’ve blogged about how some companies have adopted a “Rooney Rule” in an effort to improve board diversity. Now, it might be easier to include diverse candidates for vacancies – because Heidrick & Struggles has announced that each year, half of their cumulative slate of board candidates presented to clients will be diverse. This WaPo article reports on Goldman Sachs’ efforts to improve gender diversity for both entry level & senior employee positions, which came about because the bank wants to improve its gender pay ratio (which is required to be reported in Britain). Recently, the Illinois House of Representatives passed “House Bill 3394” – which would amend the state’s Business Corporation Act to require public companies headquartered in the “Land of Lincoln” to have at least one female director and one African-American director on their boards by the end of next year. Companies that don’t comply would face fines of $100,000 (first-time offenders) or $300,000 (repeat offenders). After a heated debate, the bill advanced to the Illinois Senate by a vote of 61-27. If it becomes law, companies can increase the size of their boards to comply. Illinois is home to some pretty well-known companies – e.g. Walgreens, Boeing, McDonald’s, Archer Daniels Midland – but I’m guessing that smaller companies will be more affected. UCLA’s Stephen Bainbridge is among those criticizing the bill. But there’s a reputational risk for companies that challenge the low bar that the legislation would establish. Board Diversity Mandates: What’s the Impact? The Bloomberg analysis showed that the new law could mean that 692 more board seats open up for women. In addition, reports Bloomberg, if every state were to adopt a comparable law, “U.S. companies in the Russell 3000 would need to open up 3,732 board seats for women within a few years.” Meaning the number of women on boards nationwide would rise by almost 75 percent. Currently, among the Russell 3000, men hold 21,424 board seats, while women hold 5,088 seats. And 99 percent of boards are majority male. Board seats are often filled by current or retired executives, who are most often men. In addition, when director slots open, they are often filled through personal connections, likewise most often male. Those are just two of the reasons why women make up only one-fifth of U.S. board directors. CalPERS’ Say-on-Pay Policy: No More Second Chances? Companies should focus on providing material information that a reasonable investor needs to make informed investment & voting decisions – Jay is wary of mandating rigid disclosure standards or metrics. Disclosure should focus on the material information that a reasonable investor needs to make informed investment and voting decisions; yet, applying this and the other principles I mentioned to human capital in the way businesses assess and disclose, and investors evaluate, for example, revenue or costs of goods sold, is not a simple task. That said, the historical approach of disclosing only the costs of compensation and benefits often is not enough to fully understand the value and impact of human capital on the performance and future prospects of an organization. With that as context, my view is that to move our framework forward we should not attempt to impose rigid standards or metrics for human capital on all public companies. Rather, I think investors would be better served by understanding the lens through which each company looks at its human capital. In this regard, I ask: what questions do boards ask their management teams about human capital and what questions do investors—those who are making investment decisions—ask about human capital? There are a wide range of potentially material HCM disclosures and ways to integrate that information into current reporting. At the most basic, issuers could be required to comply with a principles-based disclosure requirement asking them to detail their HCM policies and strategies for competitive advantage and comment on their progress in meeting their corporate objectives. This would essentially augment existing principles-based requirements with explicit discussions of HCM. The fact that board and managers routinely rely on a number of similar metrics suggests that they can add value for investors, at least within a given sector, similar to the “view from management” approach to MD&A disclosure. We offer a few examples here of disclosure that – based on research findings in the studies cited above — could be considered. They could be considered in rule-making or as part of routine disclosure reviews by Commission staff. At a minimum, application of existing SEC guidance on non-GAAP accounting, including efforts to prevent issuers from providing inconsistent or otherwise misleading HCM disclosures over time, could be specifically applied to HCM metrics. Employee pay and benefits was our largest expenditure in fiscal years 2018 and 2013. This is not surprising given that our human capital is by far our most important asset. Technology expenditures have increased in total dollars and as a percentage of the total budget over the last five years. This is a direct result of our commitment to maintaining and upgrading our information technology systems and enhancing the agency’s cybersecurity and risk management. To reflect these changes, we’ve updated the Word version of the Form 10-K cover page in our “Form 10-K” Practice Area, as well as the Word version of the Form 10-Q cover page in our “Form 10-Q Practice” Area, and the Word version of the Form 8-K cover page in our “Form 8-K” Practice Area. Note that the adopting release contains the new cover page captions starting on page 216 – but doesn’t indicate exactly where the new text will be added to Form 8-K and Form 10-Q. So we’ve made an educated guess of where this new language will appear. The rules are effective May 2nd – but it typically takes the Staff a few weeks or months to incorporate these types of updates to the PDF cover pages published on the SEC’s website. For companies that are required to submit Interactive Data Files in Inline XBRL format under Reg S-T, the Fast Act rules also require every data point on the cover pages to be presented with Inline XBRL tags. Some of the “Cover Page Interactive Data File” can be embedded – and the remainder should be attached as an exhibit under Reg S-K’s new Item 601(b)(104). The phase-in for this requirement matches the phase-in for mandatory Inline XBRL compliance. So for large accelerated filers, that means this will first be required in reports for periods ending on or after June 15th. Accelerated filers have until next year – and everyone else has until 2021. We’ve updated our “Form 10-K Cover Page Requirements Checklist” for all of the Fast Act rules – and will be updating all of our Handbooks as well. Unsurprisingly, BlackRock is now using a technology solution, provided by CorpAxe, to coordinate governance engagement requests. There was an announcement last year that BlackRock had selected CorpAxe as their “corporate access and research management solution,” but since it didn’t mention governance activities per se, it didn’t move onto my radar until BlackRock started redirecting companies that had reached out via email to request engagement. There is also a notice on their stewardship website that you should submit engagement requests through CorpAxe. – What is the status of the legislation? – What are the concerns about Rule 10b5-1 plans the legislation is intended to address? – What specific issues would the legislation require the SEC to consider? – What should companies do now? Journalists are welcome to use the information contained in this blog as long as they credit TheCorporateCounsel.net - contact Broc if you have any questions. Bass Berry's "Securities Law Exchange"
Dorsey's "Governance & Compliance Insider"